Important: Booth spaces will be available on a first-come basis. Terms and Conditions: Please Read-Most of your questions are answered below. -The Committee reserves the right to accept or reject certain content. -Additional information and a set-up map will be e-mailed to you in September. -If your check is not cashed or you do not receive an e-mail in September please contact us. -There is no rain date for this festival so please plan accordingly with tents. No refunds. 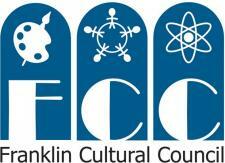 -Please check the FDP website at franklindowntownpartnership.org for important updates. -Booth size is 10 ft x 10 ft. Set up will begin at 9:00 am. No earlier set up per police dept. -Food vendors need to obtain a town health permit or have license. -Electricity, tables, tents and chairs are NOT Provided. -No animals are allowed to be on display at booths per town policy. -No mobile political signs. Signs must be part of the booth. -Please understand that this is a fund raiser and is organized by volunteers. Please no face painting activity. -Booths/tents on East Central Street sidewalk must be set up for visitors to walk through. Booth Locations: If you would like a particular space you can indicate this on your form. We will try to accommodate your request if your application is received by August 10th. Due to heavy traffic areas we may need to locate your booth to a specific area. Please indicate if you would like to be located in the children’s area behind Rockland Bank.